A fair introducing products made from tra fish (pangasius) and seafood kicked off at the Hanoi-based Agricultural Exhibition Center on October 6. This is the first seafood fair being held in the capital city of Hanoi, aiming to promote the consumption of tra fish and other seafood products in the northern region and international markets, particularly China. The two-day fair, organised by the Ministry of Agriculture and Rural Development (MARD), features nearly 100 booths of over 40 domestic and foreign enterprises. Within the framework of the event, there is a food court where professional cooks introduce to visitors the nutritious values of tra fish along with around 20 dishes made from the fish. According to Deputy Minister of the MARD Vu Van Tam, brackish-water shrimp and tra fish are major products of Vietnam with export turnover hit more than $7billion , or 67 percent of total seafood export in 2016. Vietnamese tra fish has been shipped to 150 countries and territories nationwide, including choosy markets like the US and the Europe. 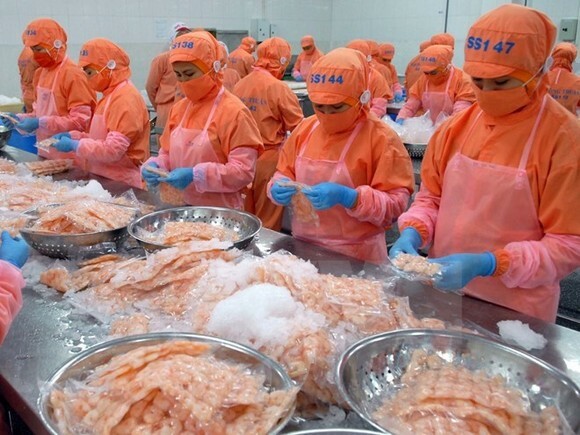 Vietnam’s tra fish export to China, the Association of Southeast Asian Nations (ASEAN), the Mideast, Brazil and Mexico has also increased recently. However, the fish is still unfamiliar to consumers in the northern region. The fair offered a chance for seafood manufacturing and processing firms to promote their products and explore the northern market, stressed the deputy minister.